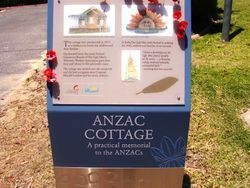 ANZAC Cottage, Claremont is significant as a practical memorial to the ANZACs in World War One, and as one of the first such cottages built for a war widow and her family by the Ugly Men’s Voluntary Workers’ Association in Western Australia in 1917. It has unusual design elements thought to be associated with the requirements of the first war widow to occupy the house. From December 1918 to early 1957, the place was the home of Mrs. Christina Connett and her three children. From 1957 to 1973, the place was under the auspices of Legacy, who also used it to accommodate war widows. ANZAC Cottage, Claremont was built on a lot donated by M. Walters & Co., by the Ugly Men’s Voluntary Workers’ Association to a design by T. W. Powell, Architect, under the supervision of Mr. Brine, a well known builder, for a war widow, Mrs. Metcalf, and her seven children who lived there for one year. 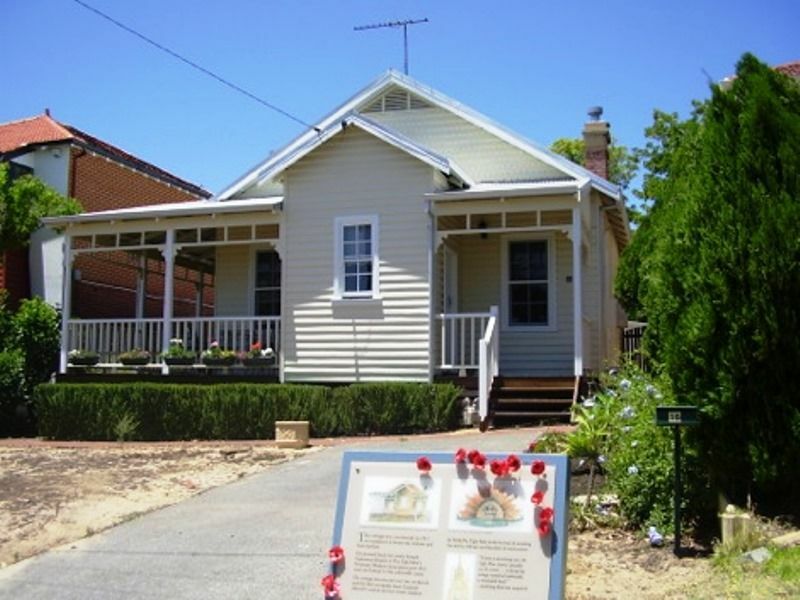 The Ugly Men's Voluntary Worker's Association Inc., generally shortened to the Ugly Men's Association or "Ugly Men" was a fund-raising and charitable organisation established in Western Australia in 1917. The Daily News (Perth) 24th July 1917.